Yogability provides free yoga to carers and on a donation basis to all other adults (recommended donation £5 or what you can afford). ALL are welcome. 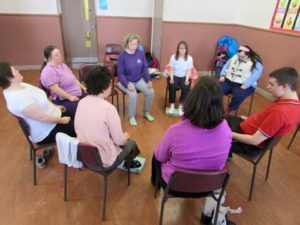 We run one to one sessions and outreach yoga programmes for adults with special needs/barriers to entry. Please get in touch for more information. If you have restrictions in movement, we recommend you get in touch so that we can direct you to the most suitable class.